As the construction industry scrambles to catch up and climb aboard the technology bandwagon, some firms are spending and wasting a fair amount of money on new technologies. But the technologies themselves are not at fault. Rather, they are being used inappropriately. And that's unfortunate, because the right application of the latest digital tools can help a firm operate more efficiently, be able to take on more projects, and more often avoid litigation. Construction reports are a good example. Daily construction reports have existed since the time of the pyramids. And while foremen and superintendents no longer record them on clay tablets or papyrus, until recently daily reporting in the field was fairly primitive. Reports were hand scribbled into notebooks. Later, the same reporter or another employee had to decipher these field notes, which had to be transcribed onto yet another form. These reports then often had to be transported to other offices and awkwardly stored, running the risk of report loss and damage. In addition to daily reports, Raken's software has format fields for weekly reports, monthly reports, and company executive summary reports. These reports are easily edited, and allow for the inclusion of photos, graphics, and additional reports. And Raken’s construction reporting software allows an application to be downloaded and used by foremen and superintendents on mobile devices, which most individuals now carry as part of daily living. 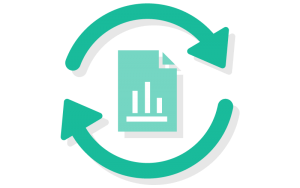 This means that reports can easily be completed and transmitted directly from the field without having to lose time and possibly data itself in the process of re-transcribing these reports. And to make sure that no report is overlooked, Raken issues automatic reminders and warnings directly to devices. Raken even e-mails company branded PDFs directly to firm stakeholders to keep all parties up to date. So while there's nothing wrong with getting nostalgic for the green field notebooks of yore, automating field reports with software like Raken help to keep firms on schedule, compliant, and profitable.